Do We Need a National Short Story Month? "...widen the attention of individuals and the media to the art of poetry, to living poets, to our complex poetic heritage, and to poetry books and journals of wide aesthetic range and concern. We hope to increase the visibility and availability of poetry in popular culture while acknowledging and celebrating poetry’s ability to sustain itself in the many places where it is practiced and appreciated. " Highlight the extraordinary legacy and ongoing achievement of American short story writers. Introduce more Americans to the pleasures of reading short stories. Bring authors and short stories to the public in immediate and innovative ways. Make short fiction a more important part of the school curriculum. Increase the attention paid to short stories by national and local media. Encourage increased publication, distribution, and sales of short story collections. Increase public and private philanthropic support for short story writers and short stories. National Poetry Month seems to have been very successful in enlisting the support of schools, libraries, publishers, and booksellers, among others. And the short story, like poetry, reaches a small audience of readers compared to novels and nonfiction. Could an NSSM change this? Or would creating one in some way be admitting that the form is marginal and needs to enlist widespread cultural support? Sounds like time for a poll. Should there be a National Short Story Month? Yes. It would be good for short stories and those who write and publish them. No. Who needs another National Something-or-Other Month? *And while we're at it, how about a single word for those who write stories, something equivalent to "poet" or "novelist"? "Storyist"? Kindle 2: Evangelist? Adopter? Skeptic? Which are you? The Kindle 2, Amazon’s new product has generated a lot of buzz about the future of e-books. Buzz is good because it demonstrates the interest of a community in the promise of a product. This condition, however, is often directly related to the desperation of the community, which is certainly palpable in the corridors of the humbled print empires. So, what of the Kindle 2? What of the transition to a digital reader such as Kindle, iPhone, or the Sony eReader, all of which promise to enable electronic acquisition and consumption of text on simple to use, portable devices? Format transitions are new to books, which arguably haven’t had a technological shift since Gutenberg, but format shifts have occurred five times in fifty years in the music industry. Are there lessons? Music’s current format shift is moving from physically distributed goods to electronically distributed goods, and movies are marching down the same path, although several years behind. Typically, consumers don’t adopt new formats unless there is a high order of magnitude improvement in experience – that’s what it takes to get past the switching costs, old libraries made obsolete, new behavior to adopt, etc. This was the case in the transitions from LP to CD and VHS to DVD. Digital music (e.g. iTunes) has caught on because it offers several improvements on the CD: a more convenient retailing experience (browse at home in a store that never has stock outs), ease of acquisition (a download takes less than a minute), the ability to buy a track and not the whole album, comprehensive storage and easy library navigation on the PC, and a simple transfer to a portable listening device with lots of memory. The conversion to digital music has occurred without improving the sound quality, a major factor in prior format shifts. In fact, the acoustic quality of the digital download is inferior, some say significantly inferior, to the CD. But that hasn’t made a difference to consumers, who value the new experience holistically. Consumers buy downloads, even when the songs are still free on p2p networks, because they value the chain of experiences. People listen to music, but they pay for an experience. So, what if any, lessons does this hold for e-books? The Kindle 2 has one remarkable quality and several features that are nice, but my experience, and that of my unscientific sample of other new Kindle 2 owners, suggests that there will have to be several rounds of ergonomic innovation, presentation and display enhancements, and content product ideation for a mass market to adopt the Kindle. My Kindle 2 arrived via Fedex with my user account already established, so the unpacked device, once turned on, synched immediately to the Amazon store, and I was able to make a purchase without typing name or credit card information. Amazon has made buying and downloading e-books very easy, but the promise of flat screen reading falls, well, flat. The screen is clear, but words on the screen lack a book’s restful quality, the wonderful feeling that the text has been stamped or pressed in place, the feeling of permanence. If you’re a book lover, repeated reading on the Kindle may help you overcome the loss of satisfying tactility, in the same way that we’ve all learned to accommodate reading PDF files on screen. For me at least, this means that so long as I have a book nearby I’ll always choose the book over Kindle. But books are heavy and the Kindle weighs less than a pound, so I might use the Kindle to take e-books on business trips or on vacation, or a college student might buy an electronic textbook, or even a chapter of a text book (if sold that way), because the trade-offs of weight, convenience, and experience favor the digital version. The Kindle 2, in short, feels more like an evolutionary device and not the revolutionary device that previously transformed the music and movie businesses as they changed from tape to CD, or VHS to DVD. This week has seen two noteworthy announcements about e-readers. Sony, which expects to release a wireless web connected e-reader upgrade in 2009, announced that its site is making available for free half a million public domain downloadable books. Fujitsu announced the release of a color screen e-reader in Japan ($1,000). And Plastic Logic, a venture start-up that’s raised $200 million, will ship mid-2009 an e-reader that links to newspapers, magazines, and fictionwise.com, the e-book retailer Barnes and Noble recently purchased. Sony’s free book announcement does begin to change the appeal of an e-reader, although not the consumer’s preference for books. Consumers adopted new entertainment devices (CD players and DVD players) when there was sufficient content to enjoy the device. Sony’s announcement begins to enhance the consumer value proposition. After all, the unique attribute of text is that a word written in 1840 is the identical word used today. The text of Edgar Allen Poe’s Tales of the Grotesque and Arabesque, published that year, is identical to the text available in contemporary reprints. Technology has not changed the intrinsic value of reading the written word, whereas technology has been fundamental to the continued improvement in audio and video entertainment experiences. Sony’s decision to open up 500,000 public domain downloads for free, is a significant value proposition. And, Sony’s offer is a fraction of the many millions of public domain documents (books, essays, manuscripts, archive materials, etc.) that have been digitized in the past ten years. Think of Borges, whose seminal short story, “The Library of Babel,” broached the notion of the “catalogue of catalogues,” which in today’s terminology would become “the index of indexes.” The question is: How does all that free content change the value proposition for e-readers, and how does an e-reader differ from a small laptop computer or from iPhone reading applications? The answer, no doubt, has already been written, but we’ll have to wait for it to appear. "Oh, what can you do with a man like that? What can you do? How can you dissuade his eye in a crowd from seeking out the cheek with acne, the infirm hand; how can you teach him to respond to the inestimable greatness of the race, the harsh surface beauty of life; how can you put his finger for him on the obdurate truths before which fear and horror are powerless? The sea that morning was iridescent and dark. My wife and my sister were swimming--Diana and Helen--and I saw their covered heads, black and gold in the dark water. I saw them come out and I saw that they were naked, unshy, beautiful, and full of grace, and I watched them walk out of the sea." That's the concluding paragraph of Cheever's story "Goodbye, My Brother." Perhaps he did have a troubled relationship with his brother, as does the narrator, but that makes no difference to the reader; the story would be great even if the author had been an only child. 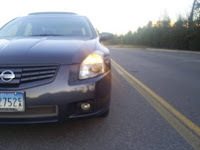 "He felt so lonely that when the car ahead of him signaled for an exit he felt as if he had been touched tenderly on the shoulder by some stranger in some strange place like an airport, and he wanted to put on his parking lights or signal back in some way as strangers who are traveling sometimes touch one another although they will never, ever meet again. In a lonely fantasy of nomadism he imagined a world where men and women communicated with each other mostly by signal lights and where he proposed marriage to some stranger because she put on her parking lights an hour before dusk, disclosing a supple and romantic nature." Updates: More Honors for '08 Collections; Franco-phile or Franco-phobe? All right, we're (almost) ready to (maybe) put last week's Story Prize event behind us (kind of). Here are a few short-fiction related items that have come up in recent days or that we were too obsessed to point out in the last few weeks. Of particular note: 2008's bumper crop of short story collections is still making news, as is an upcoming collection from a scruffy young talent. And the Pulitzers are yet to come (Apr. 20). Jhumpa Lahiri's Unaccustomed Earth is the Europe and South Asia Regional winner of the Commonwealth Writers' Prize for Best Book. The overall winner will be announced on May 16. (Go, Jhumpa!) And Uwem Akpan's Say You're One of Them is in the running for the Best First Book. Tomorrow night the National Book Critics Circle will announce their award winners. Elizabeth Strout's Olive Kitteridge, as previously noted, is among the fiction finalists. Joan Silber's The Size of the World is a finalist for the Los Angeles Times Book Award for fiction. Sarah Shun-lien Bynum's Ms. Hempel Chronicles was a finalist for the PEN/Faulkner award, which Joseph O'Neill's Netherland won. 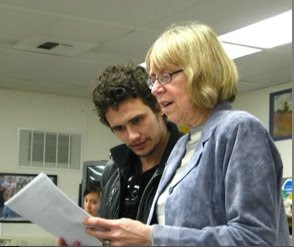 Actor James Franco sold a short story collection to Nan Graham at Scribner. He's currently a student in the MFA program at Columbia University. The stories are set in Palo Alto, Calif., whose high school he paid a visit to in November, 2007, in search of material (see photo). No doubt name (and face) recognition didn't hurt, but let's not be too hasty to pre-judge. Franco will be bringing some extra attention to short fiction, and that's generally a good thing. “Playful and moving, inventive and sharp—each story in Joe Meno’s Demons in the Spring takes our understanding of the world and gives it a twist. Wives turn into clouds, tiny elephants sniff out missing children, and miniature cities glow underneath our skin. There are also factual elements—bits about Iceland (a travel guide that includes climate and population), Stockholm Syndrome (a retelling of the events that coined the phrase), and the Unabomber (including his actual mailing address in jail)—that serve as platforms to investigate deeper issues of the soul. “Our Story Begins will be ranked with the best collections of contemporary American (and Canadian) short stories published in recent—maybe even all—decades. Such writers as John Cheever, John Updike, Lorrie Moore, Mavis Gallant, Alice Munro, John Updike, Eudora Welty, William Maxwell, etc. will be proud to welcome him to their cohort. Well—he's really with them already, but this volume gives him eternal tenure. “The previously uncollected pieces by Wolff in this new collection show an increasingly severe insistence on the most telling and specific detail as the author creates entire worlds, entire life stories, out of eloquent molecules of narrative. The emotional impact of these lapidary stories is specific and powerful: a teacher facing abduction from the angry Muslim parent of one of her students turns the tables on her captor without much in the way of a sense of victory; a father takes his ‘difficult’ son off to a boarding school and gets lost on the way to and from the place, filling himself with greater dread than he would have imagined possible. The strength of the content of these pieces, whose characters often end up in a kind of cosmic lostness tempered, occasionally, by kindness, should not be taken for granted. 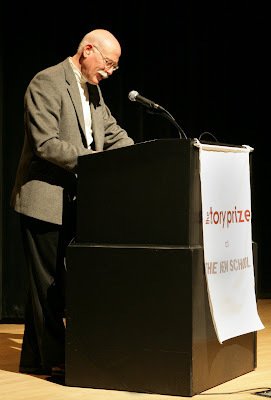 In the days ahead, we'll be posting lots of pictures from The Story Prize event on our Web site. 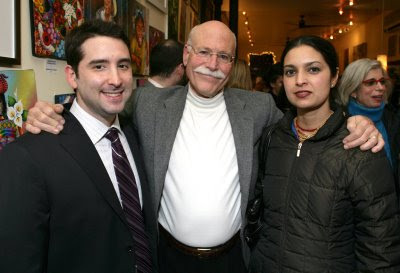 Here's one of this year's winner, Tobias Wolff, with fellow finalists Joe Meno and Jhumpa Lahiri at the post-event reception. Behind Lahiri, you can see her editor, Robin Desser. * The three finalists had never met before, but there was a nice feeling of fellowship among them, which you can clearly see in the photo. All three were incredibly nice, gracious, easy to talk to, smart, and truly interesting. * Knopf's Desser also edits Edwidge Danticat and Nam Le, among others. 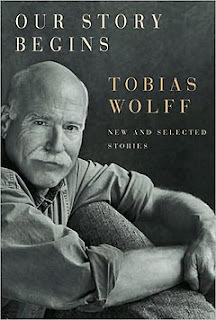 Tobias Wolff has won The Story Prize for his extraordinary collection of previous and new work, Our Story Begins. Founder Julie Lindsey presented him with the $20,000 award and an engraved silver bowl at an event that took place at The New School in New York City on Wednesday night, March 4. The other finalists, Jhumpa Lahiri for Unaccustomed Earth and Joe Meno for Demons in the Spring, each received $5,000. All three authors read from and discussed their work onstage. It was a pleasure talking to Jhumpa, Joe, and Tobias. And all three read beautifully. Those of you on Twitter are free to tweet about the event. In fact we encourage it, if you can do so without disturbing those around you. This will probably elicit laughs from the audience, particularly among those who won't know what I'm talking about. Those who do will understand that some in attendance will be sending out brief messages of 140 characters or less that others can read on their cell phones or computers. So if you're on Twitter and you follow @ronhogan or @readerville or @jasonboog, and others who might be in attendance, you're likely to get some real-time dispatches from The Story Prize event on Wednesday night. 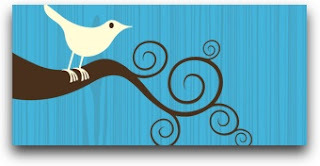 If you're not on Twitter, you might want to think about signing up. Trust me, once you're acclimated, you'll find it interesting and useful. This blog and our Web site will post the winner at or around 9:45 p.m.--to be on the safe side and keep from announcing the news before the event is over--but you may be able to learn the outcome sooner if you're on Twitter. The actual announcement will probably come between 9 and 9:30. You can also follow The Story Prize @lcdark. I might have a thing or two to tweet from the event, if I have the chance. Pop quiz: What do these people have in common: Larry David, Mike Judge, Natalie Portman, Bill Gates, Snoop Dog, John McCain, Ashley Judd, Marilyn Manson, and Jhumpa Lahiri? Each appeared on an epsiode of mtvU's Stand-In, which punks college classes by replacing their professor with a celebrity instructor for the day. Dude! Lahiri appeared as a special guest for a fiction writing class at Pace University in 2005, in an episode that was a collaboration between the short-lived MTV Desi, a channel aimed at South Asians in the U.S., and mtvU, a channel available on college campuses. She reads from her story "The Third and Final Continent" (though mtvU only has the attention span to show part of that) and answers students' questions. Professor Lahiri will, of course, be appearing at The New School on Wednesday night, as a finalist for The Story Prize. Here's Tobias Wolff chiming in with Mountain Goat John Darnielle. The Story Prize event is only three days away. There are no plans for Wolff to sing--or Joe Meno or Jhumpa Lahiri, for that matter.